If you’re looking for a combination of technical know-how, practical advice and inspiration to supplement the real thing take a look at this book and DVD. You can order them using a credit or debit card, or through a Paypal account if you have one. They'll be despatched via Royal Mail First Class as soon as payment is received. 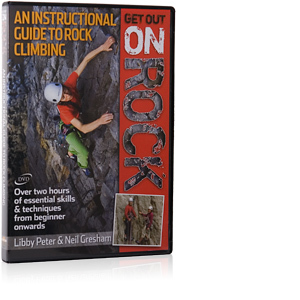 When Neil Gresham and I got together to make Get Out On Rock we wanted to produce the definitive instructional film that would take novices through their first steps outside as well take established climbers on a level. The menu driven format allows you to pick and choose between chapters such as how to rig a top-rope, survive your first lead, using double ropes, tackling overhangs and getting prepared for big sea-cliff adventures. Technical tutorials are mixed with dramatic footage on classics routes like Sloth, Cemetery Gates and A Dream of White Horses. £18.00 including free postage and packing within the UK. For postage to any other country, please contact me to find out the additional cost. 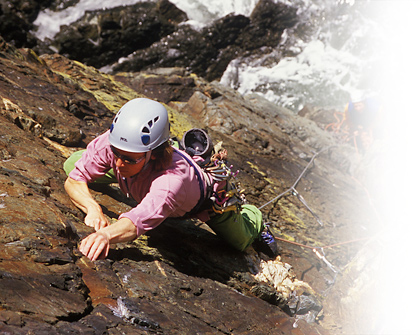 Rock Climbing: Essentials Skills and Techniques (new revised 2nd edition) is aimed at new climbers, improving climbers and anyone who’s worried their ropework may be a little rusty. One of a series published by Mountain Leader Training, it is also the official handbook of the Single Pitch and Mountaineering Instructor Awards so has tips and advice for instructors and anyone responsible for other people’s safety when climbing. 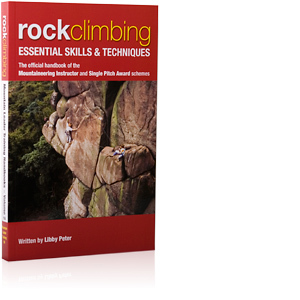 There are chapters on bouldering and movement skills, single and multi-pitch climbing, self-rescue techniques, scrambling and much more. The book is designed in a user-friendly format with over a hundred diagrams and photos. 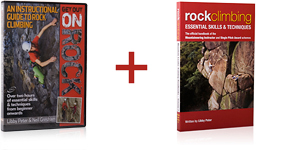 Buy both Rock Climbing: Essentials Skills and Techniques (2nd edition) and Get out on Rock for a combined price of only £35.